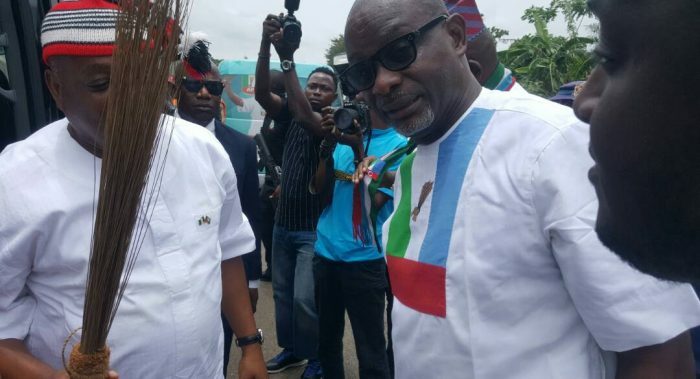 Dr. Orji Uzor Kalu visited EKITI STATE and was warmly welcomed by popular APC Gubernatorial candidate RT. HON . 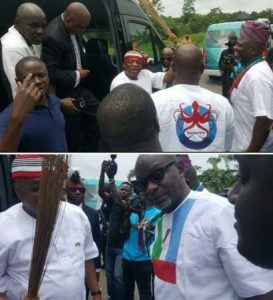 BAMISILE RICHARD OLUFEMI alongside other party member as they were seen holding a broom which serve as a logo of their party. 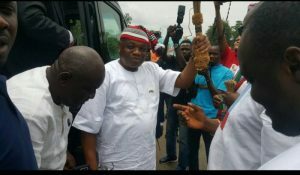 Recall that Governor Fayose asked Dr. Orji Uzor Kalu former Governor of ABIA STATE who is currently on the “Peace Advocacy Southwest ” to stay away from Ekiti state.